Dogs are famous for being man’s best friend and that is what most dogs spend their lives doing- just hanging out, being friends with their humans whilst slobbering over furniture and chewing the odd shoe every now and then. However, for some dogs they have a much bigger calling. 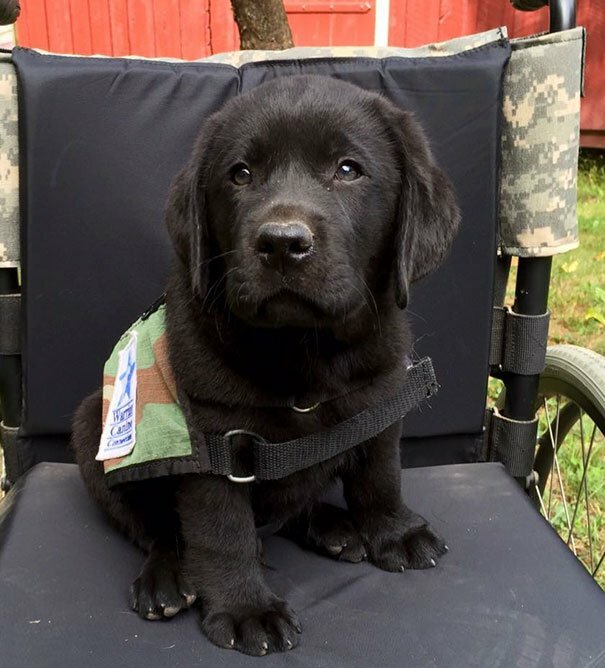 They help to serve by being police dogs, military dogs, guide dogs for the blind, therapy dogs, fire dogs and so many more. 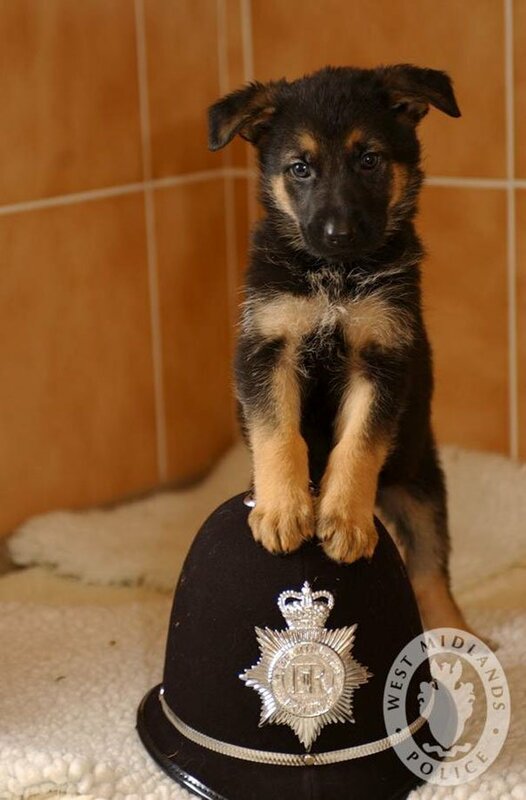 This is because dogs are perfect for these kind of roles- their sense of smell is 50 times greater than our own, meaning they are perfect for sniffing out drugs, explosives, missing people and even when someone is in distress. 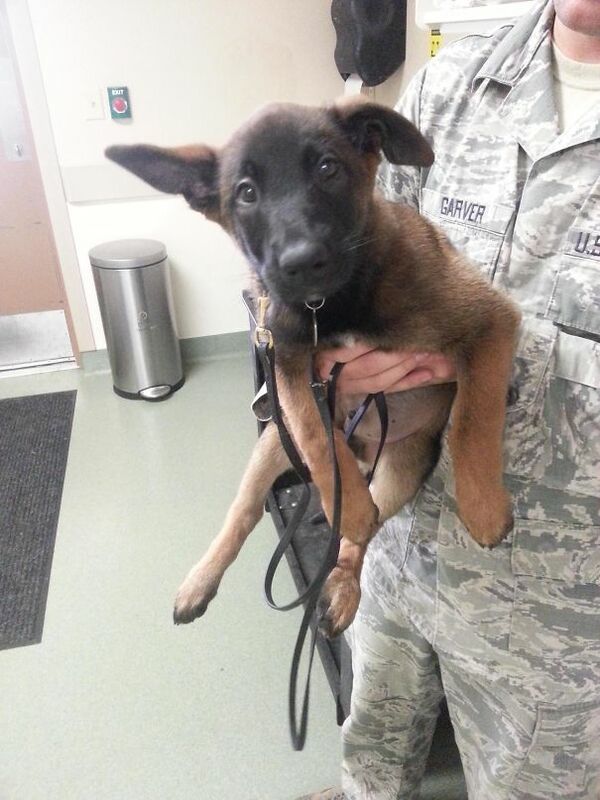 These dogs are all highly trained for a great purpose but they all have to start somewhere. #1 This is Tuco trying on his vest for the first time. He already looks happy with it! #2 Unlike this little guy who still has to get used to it. #3 Criminals need to watch out for this one. He’s already comfortable with the car. 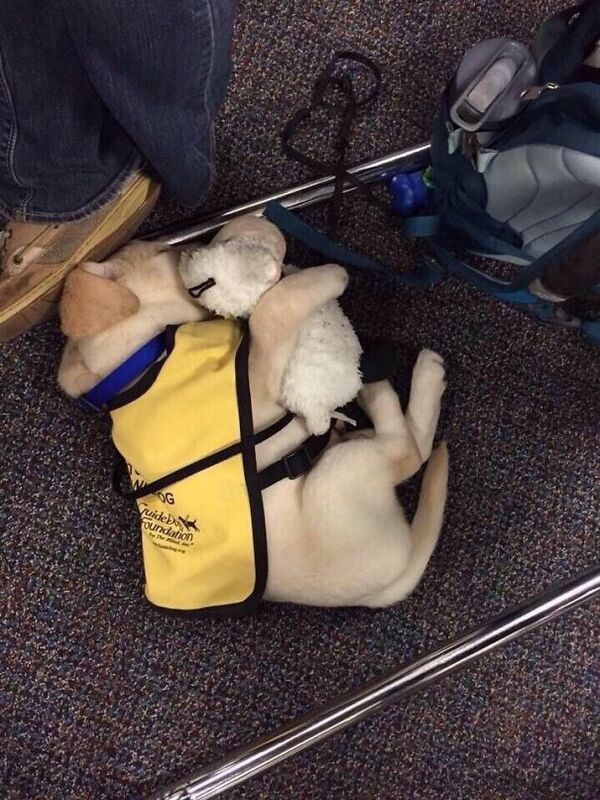 #4 This little one has had a hard day of learning to be a guide dog and just wants his teddy. 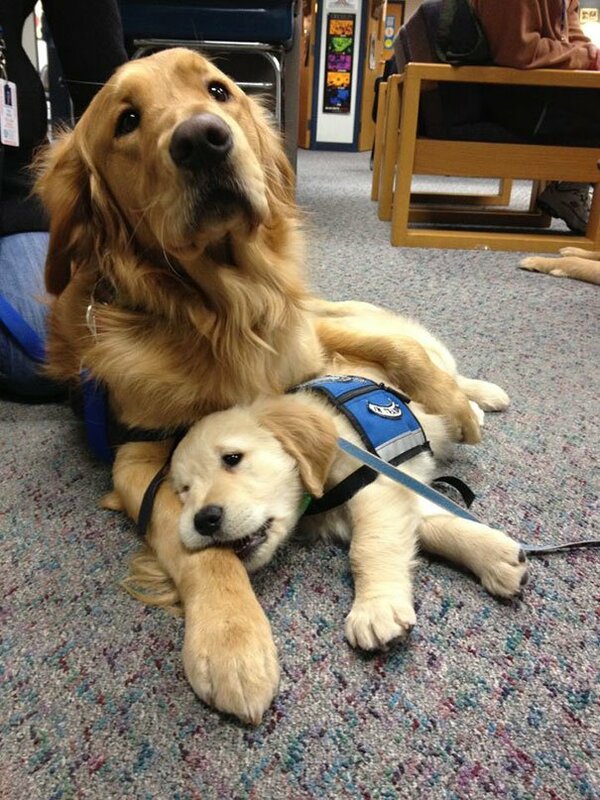 #5 This guide dog is being a very patient mentor to this young pup. As well as occasionally being his snack. 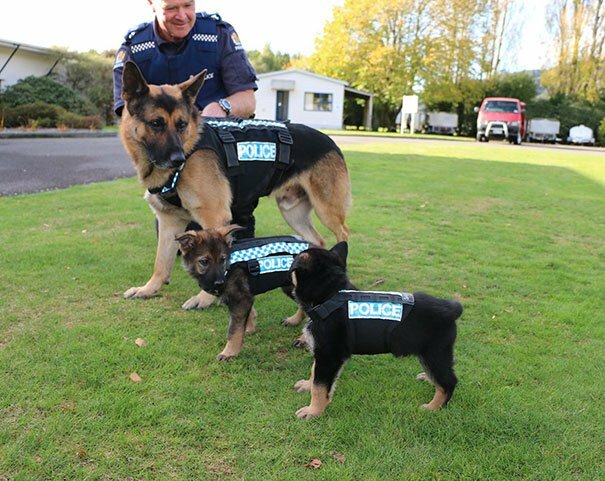 #6 These two are also getting their vests fitted. I think the veteran dog approves. 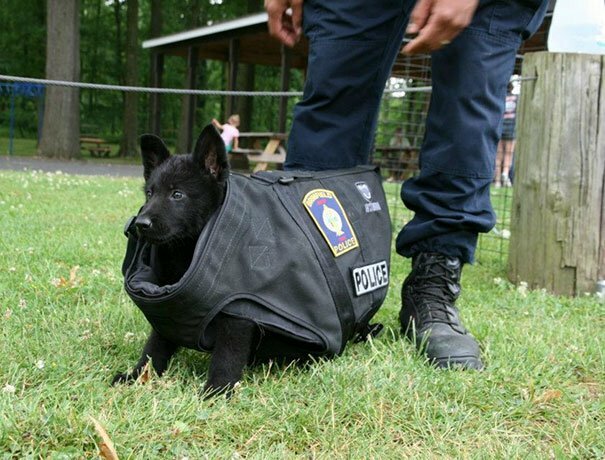 #7 I don’t think this bullet-proof vest fits just yet… but he’ll grow into it. 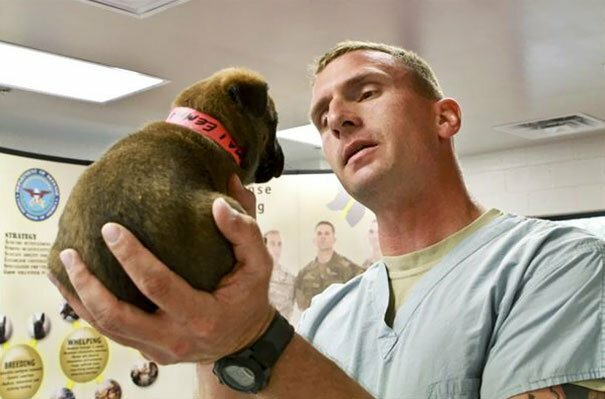 #8 All pups need check-ups to make sure they are fit and healthy. 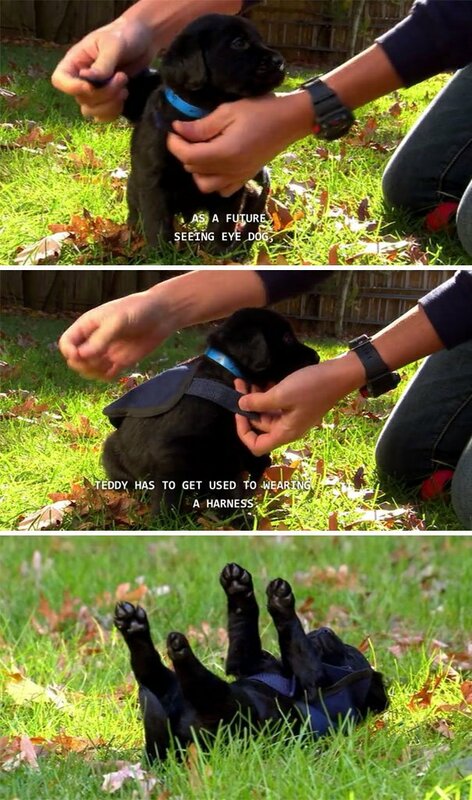 This tiny puppy is getting his. 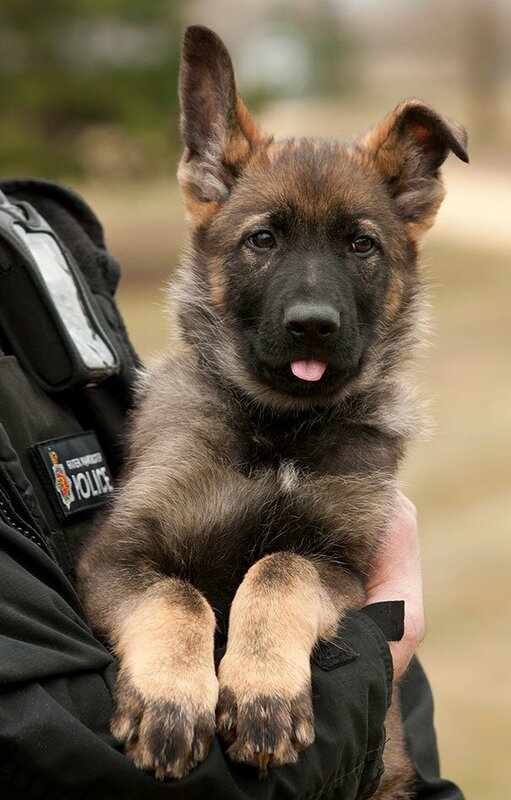 #9 This is Mo on his first day serving with Greater Manchester police. Who else wants to be the one cuddling him? #10 This girl is ready to wear her leash with pride. #12 Somebody got tired on duty so they decided to take a nap. 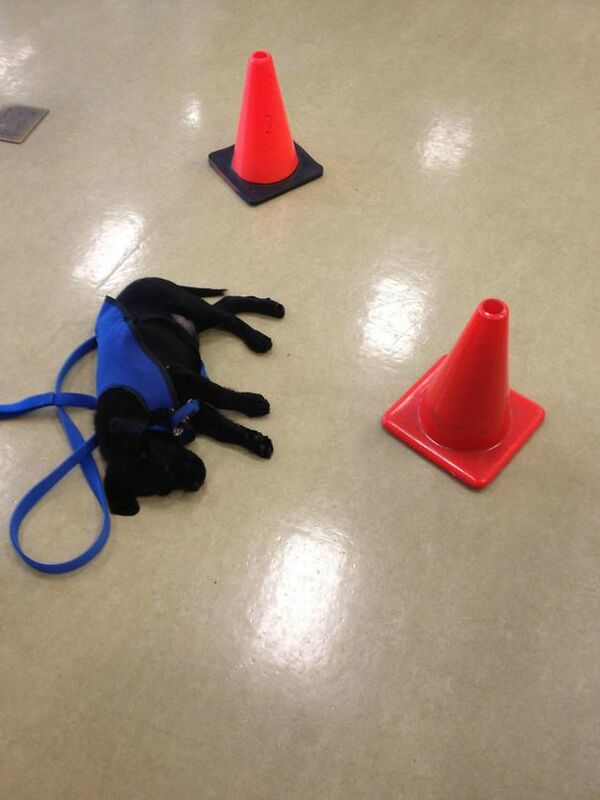 Their handlers didn’t want to disturb him so they put cones around him. How cute! #13 This puppy is posing with a helmet. 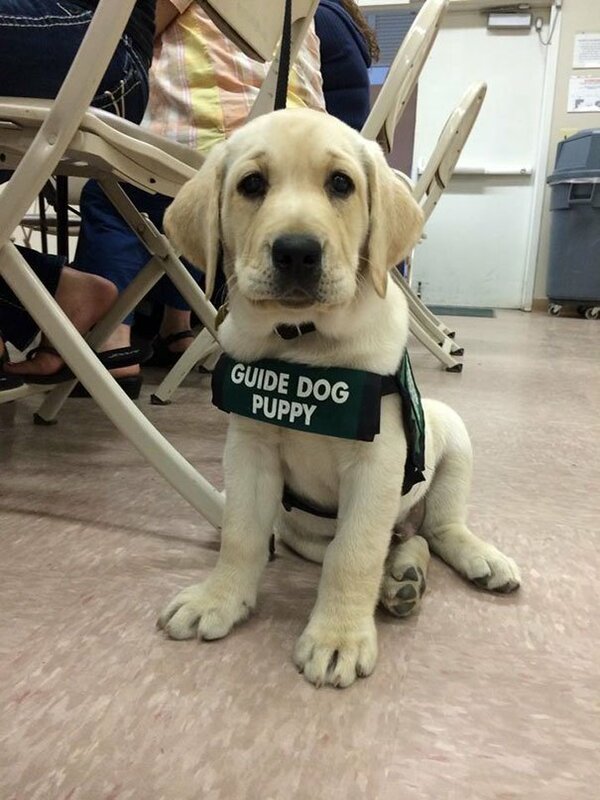 He won’t get to wear one but he will be just as important as any of the humans who will. 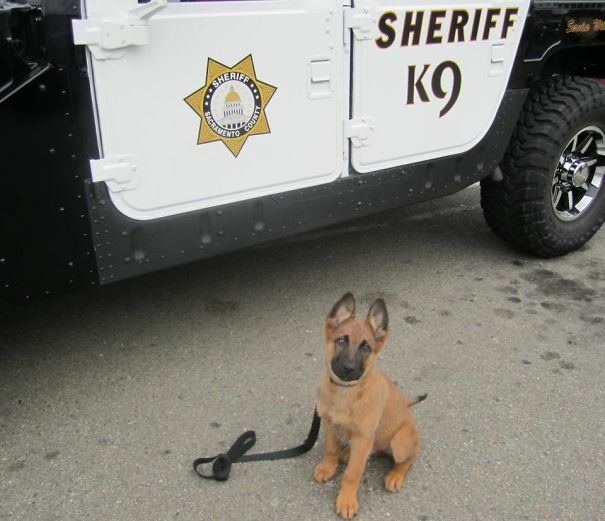 #14 Another puppy posing with a truck. 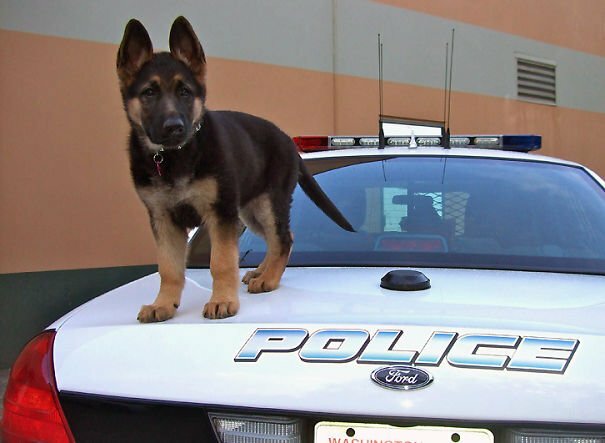 Once they finish their training, they’ll be in the front seat! 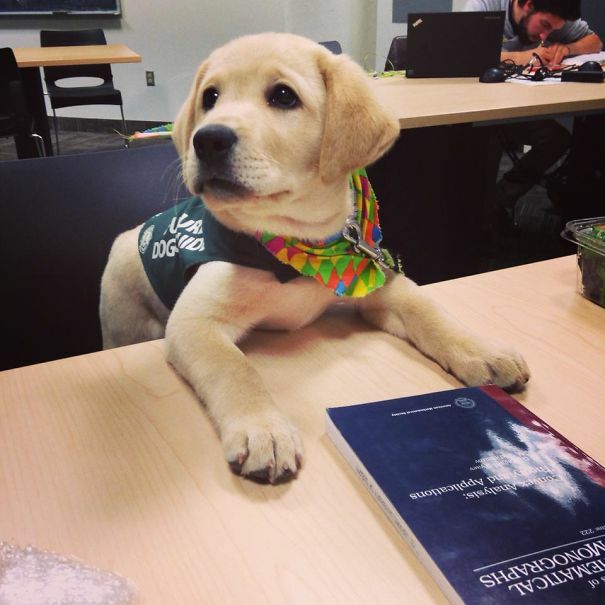 #16 This is Jack on his first day working with veterans. 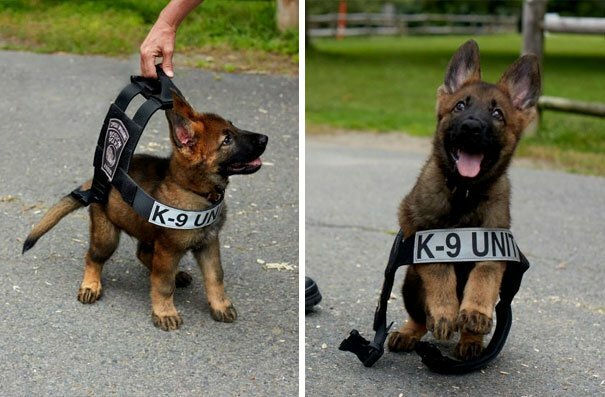 He already has his own little vest! 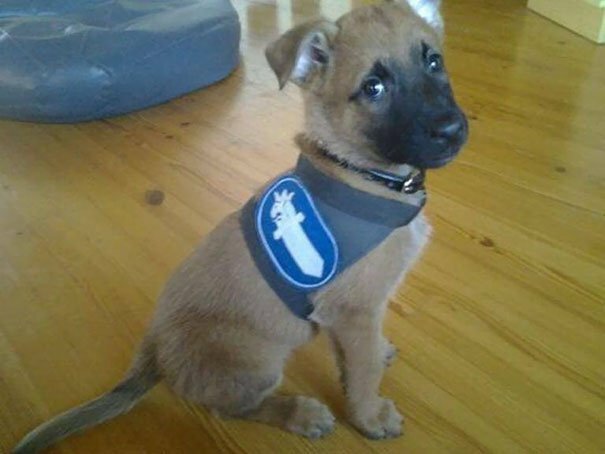 #17 This pup is just about to join the police in Finland. He already seems excited! #18 This boy is called Xxcalliber and he’s started with the military at a few months out. He’s got a big life ahead of him but he looks ready for it. 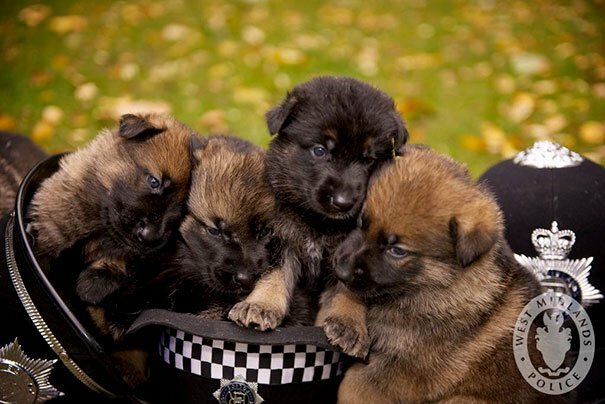 #19 These pups were all born to the West Midlands Police. 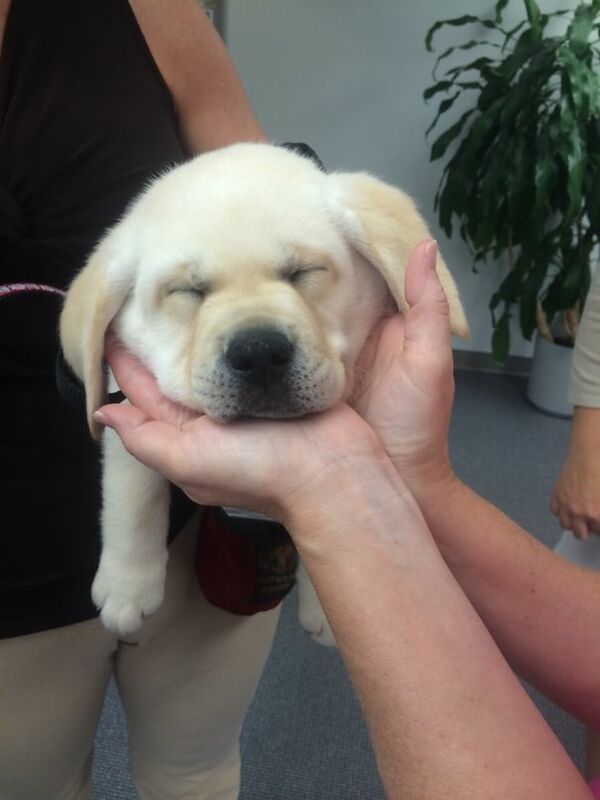 They are already serving a lot of cuteness. 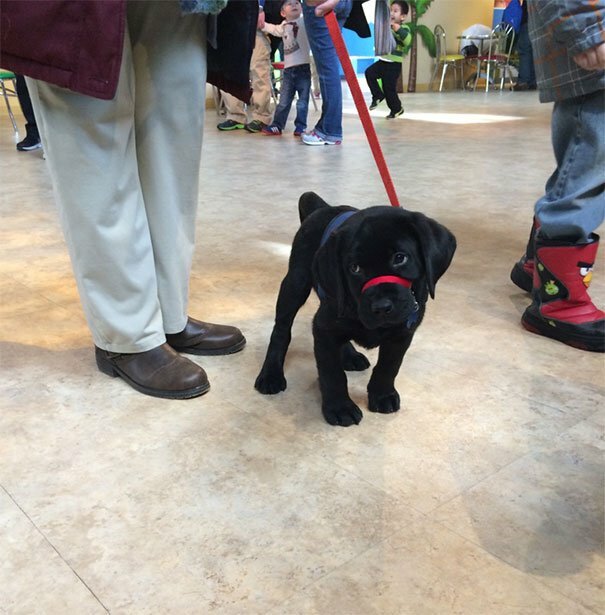 #20 This little one had a tough first day training to be a guide dog. He’s worked so hard, he deserves a rest.